Thames & Hudson, 9780500241493, 352pp. In this authoritative publication, the founders of the Sackner Archive of Visual and Concrete Poetry, the largest such collection in the world, apply their experience, mining the collection they have created over four decades to present examples produced by more than 200 of the world's finest typewriter artists. From the early ornamental works produced by secretaries in the late nineteenth century to more recent works that consider the unique position of the typewritten document in the digital age, there is an astonishing and delightful range of creativity in every artwork. 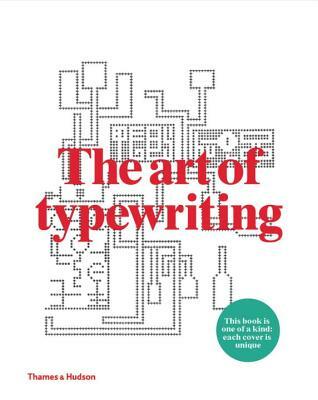 The Art of Typewriting features three main sections: an introduction to the history of the typewriter and its art; an expansive plate section showing key works rendered in exquisite detail; and a reference section featuring biographies of the genre's most influential artists and writers. The book's layout has been created by London's leading graphic design studio, Graphic Thought Facility, and each book has a cover with a unique combination of front and back image, meaning no two books are the same.